Parallax backgrounds as well as other background options are built directly into the Vertex Framework. Parallax causes the background image of an element to scroll at a different speed than your browser. For an example of this view the homepage of the Velocity template here and watch the background of the top_row1 area as you scroll down the page. This feature is found under "Backgrounds" tab in Vetex, where you can control the background for many areas of your website. 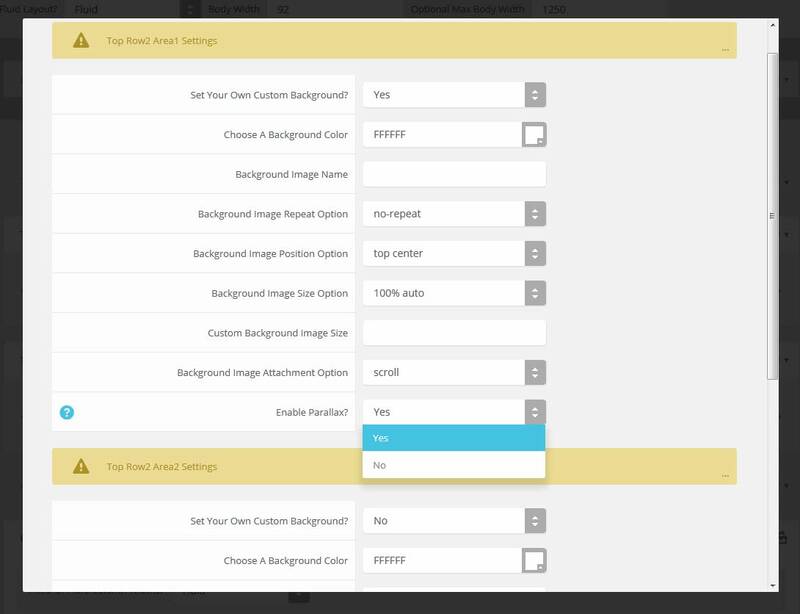 Set custom backgrounds for all s5 rows in the framework.